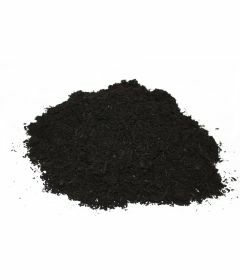 Earth Cycle’s Spent Mushroom Compost is a slow-release nourishing fertiliser which provides high levels of phosphate, potassium, calcium, and magnesium and is great for growing vegetables, particularly brassicas due to its slightly alkaline properties. Mushroom compost has a high organic matter content, which makes it a useful material for soil improvement and mulching. Our organic mushroom compost comes as a by-product from our mushroom farming, it is excellent nutrient filled fertiliser. It contains high levels of calcium, magnesium, potassium and phosphate. Our organic mushroom compost is easy to spread and increases the amount of organic material for your substrate and soil. This makes an ideal choice for gardening enthusiasts who are looking to grow vegetables, it is particularly good for brassicas due to its alkaline properties. 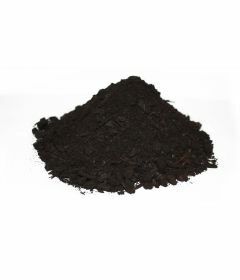 This soil can also help with the structure of your soil and it is suitable for landscapers and gardeners. The properties of this soil mean it is best used with non-acidic plants such as camellias and rhododendrons. Please note that there are two types of mushrooms composts, there is spent mushroom compost that has been previously used for mushroom growing. Which is like the type of compost that we provide. There is also un-used mushroom compost, this usually has less nutritional value so we do not provide this compost. For brassicas, peas, beans or sweet peas, dig and cover the bottom of a trench with our Mushroom Compost, then fill the trench with a mix of one part mushroom compost and two parts soil. For planting cucumbers, tomatoes and other vegetables, fill the hole with a mix of one part Mushroom Compost and two parts soil. Pre-dressing flower beds with our Mushroom Compost will give better blooms. Apply a 50mm (2”) layer and gently fork in or leave as a mulch. Due to it’s slightly alkaline properties, Mushroom Compost is not recommended for use on acid loving ericaceous plants, such as rhododendrons.